This website (www.ekofuel.org) is operated by Prima Industries Ltd ('we' or 'us'). 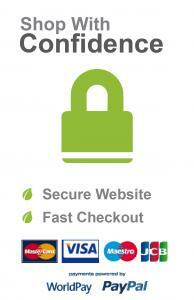 These terms will apply to all your purchases from our website, whether you are ordering online or by telephone. Please read this document carefully and print it off or download it before placing your order. We may change these terms from time to time. Please check them before you make a new purchase. Money Back Guarantee- If you are unsatisfied with the quality of your fuel, send back the remaining unopened bottles (at your expense) and we will refund you the value of the unopened bottles. Price Match Guarantee- If you find similar quality fuel elsewhere for cheaper than it is on www.ekofuel.org, than call or email us with the link to the website and we will match the price. The fuel must be available on the same delivery service (next day) for the same or lower price than featured on www.ekofuel.org. Please Note: We are unable to take back items that are over 28 days old from date of delivery. You can pay for your order by Visa, MasterCard, Delta/Connect or Switch (online via WorldPay or over the phone) and over Paypal. We will take all reasonable care to keep your order details and payment secure, but, unless we are negligent, we will not be liable for any losses if an unauthorised third party obtains access to your information. If billing and delivery addresses are not the same, we may require a utility bill for confirmation. 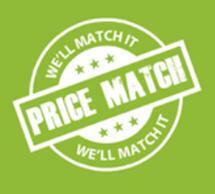 All prices quoted on our web Site include VAT unless stated otherwise. Prices on all products exclude delivery, unless stated by us. The price of EkoFuel bioethanol fuel include free next working day delivery for orders placed up to 3.45pm for delivery to England, Wales and parts of Scotland (excluding bank holidays and weekends). Deliveries to scottish postcodes AB30, AB33, AB34, AB35, AB3, DD8, DD9 & FK16 are on a free 2-5 day delivery service. Next day delivery is available to scottish highland postcodes AB41, FK17-21, IV1-20, IV25, IV30-37, IV63, PA21-35, PA37-39, PA15-26, PH49-50. however additional delivery charges will apply. 2-5 Day delivery is available to scottish highland postcodes AB37-38, AB42-45, AB53-56, IV21-24, IV26-28, IV40, IV52-IV54, KW1-KW14, PA36, PA40, PH30-41. AM (before 12noon Mon to Fri) and Saturday AM (8am-12noon) delivery services are also available to the UK Mainland. Unfortunately due to the flammable nature of the fuel, we are unable to deliver the bioethanol fuel to Scottish Isles, Northern Island, Off Shore & Channel Islands. Once your order is despatched, a consignment number will be sent via email to alow you to track the package as it is delivered. As the fuel is flammable, parcels must be signed for on delivery and cannot be left unattended. If no-one is in for the delivery, the courier will attempt to leave the parcel with a neighbour. Prima Industries Ltd or our courier cannot accept responsibility for any goods lost or stolen once delivery has been made. If no-one is in when delivery is attempted, the package will be held at the local depot for 2 days before it is returned to the sender. You must contact the courier with your tracking number within the 2 days to arrange a suitable time for re-delivery or collection. Please note: If the package is returned to sender there will be a charge for redelivery or a refund issued minus the cost of return carriage. Up to 192L of fuel can be bought online however we can supply larger quantities, from pallets (756L) up to lorry loads. If you are interested in large quantites of fuel, please call us on 01709 524 162 or contact ekofuel@primaind.co.uk for very competative prices and delivery quotes. Please refer to the individual product for delivery charges for non-fuel items and accessories. Bioethanol sold for domestic use for heating is subject to 5% VAT. Please select the 5% VAT option, unless you are a business or you won’t be using the purchase for heating. The rate of VAT levied on sales of fuel products is subject to the intended use of those products. For full details of the relevant saw please see HMRC Reference: Notice 701/19 (August 2010). A guide to the appropriate rate is given below. Please note that we will not be held responsible for the incorrect application of a VAT rate to your order. It is YOUR responsibility to ensure that you understand the legislation, by agreeing to our terms and conditions you certify that you order is complaint with the relevant legislation. We will not be held responsible for inaccuracies in the advice tabled below. Bioethanol Intended for other uses: All other supplies are made at the standard rate of VAT. Please ensure you make a purchase with the appropriate rate levied. All items are subject to availability. We can only guarantee availability whilst stocks last. If the goods ordered are unavailable, we will contact you with suggestions of goods of equivalent quality and wherever possible a similar price. We will endeavour to deliver goods within the times stated but goods are subject to availability and delay in delivery of goods is sometimes out of our control. Any dates we specify for the delivery of goods are approximate and we shall not be liable for any losses, costs, damages, charges or expenses caused by any delay for delivery of the goods. Any transit damage, shortages or incorrect goods supplied must be noted on the delivery note at the time of delivery. Please ensure that you thoroughly inspect your goods for any cosmetic damage, incorrect goods, missing parts or other problems as soon as you receive them. If this is done after delivery has taken place, you are required to contact us within 24 hours of delivery of your goods giving full details of any problems, for us to arrange for suitable action to be taken. If you receive goods in a damaged condition, please make a note of this on the delivery despatch note when signing. Failure to note any damage when receiving the item will void the opportunity to claim. Goods must be checked on delivery and faulty goods must be reported within 24 hours of delivery with supportive evidence i.e photographic images. If there is a problem with your goods, please contact us on 01709 524 162 or via email at ekofuel@primaind.co.uk, Monday – Friday, 9am – 5pm. It is your responsibility to ensure that you have signed for the correct number of goods delivered. At time of delivery you must also check that you have received the correct goods in accordance with your order. If you find that you have received incorrect goods or the wrong amount of goods, you must make a note of this on the delivery despatch note when signing, you must then notify us of this by phone, email or letter in any case within 24 hours from receipt of goods. Please Note: Do not use an item if it is damaged or an incorrect item. This counts as acceptance of goods and the item is then non returnable. You have the right to cancel your order at any time before goods are delivered to you for any reason. In compliance with the distance selling regulations you have a Cooling Off period where you may withdraw from this agreement at any time up to 7 working days after the day we have delivered the goods to you. If we have delivered the goods, you must not have used them and must have kept them in the condition they were delivered. You must return them to us at your own cost. A 20% restocking fee will be incurred when any goods are sent back unwanted after the 7 day cooling off period, this will be deducted from the your refund. Proof of purchase is required when returning items. When we receive the goods we will inspect them to ensure the goods are in the same condition as when we sent them to you. All items are subject to inspection. As a consumer you have a duty to return the goods in perfect condition. We advise that you should return the product within its original packaging as it will insure that the product is not damaged on its return journey. We advise you to take out insurance on your goods when sending them back to our returns dept. If goods arrive to us damaged, you will be charged the full cost of the product. If you are unsatisfied with the quality of your fuel, send back the remaining unopened bottles (at your expense) and we will refund you the value of the unopened bottles. If you find similar quality fuel elsewhere for cheaper than it is on www.ekofuel.org, than call or email us with the link to the website and we will match the price. The fuel must be available on the same delivery service (next day) for the same or lower price than featured on www.ekofuel.org. If you have already purchased fuel from EkoFuel and find cheaper fuel elsewhere within 7 days of purchasing, we will refund the difference plus 10% of the difference. 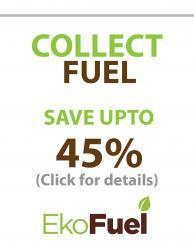 EkoFuel c/o Prima Industries Ltd, Unit 2 Chesterton Court, Chesterton Road, Eastwood Trading Estate, Rotherham, S65 1SJ. Alternatively email us at customerservices@primaind.co.uk. We shall then fully investigate the matter and contact you within 5 working days from receipt of letter. 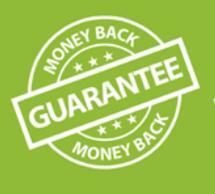 This guarantee is in addition to any warranties or conditions implied by law and nothing in these terms affect your statutory rights. If this happens we shall inform you as soon as is reasonably practicable and if these circumstances continue for 30 days either you or we will be free to cancel the contract. If so, we will give you a full refund of any payment we have received from you within 30 days of cancellation. If you have any queries or require further information regarding our products or your purchase, call our helpful Customer Care staff on 01709 524 162 will be glad to assist you. Lines are open from 9.00am - 5pm from Monday to Friday. Alternatively you can e-mail us at ekofuel@primaind.co.uk, or write to our Customer Services department at: EkoFuel c/o Prima Industries Ltd, Unit 2 Chesterton Court, Eastwood Trading Estate, S65 1SJ. We have made every effort to display as accurately as possible the colours of our products that appear on this Web Site. However, we cannot guarantee that your monitor's display of any colour will accurately reflect the colour of the actual product. While we try to be as accurate as possible, all sizes, weights and measurements quoted are approximate. The products sold on this Web Site have been designed to comply with the health and safety laws of the UK and we cannot warrant or represent that they comply with any health safety or other legal requirement outside the UK. Tell us how we are doing and how we can do it better. We welcome your comments on any aspect of our service to you, so please feel free to contact us with your comments by email or by contacting our customer services department. Images on our website have either been made accessible by suppliers, manufacturer's, publications, publicists, or been gathered from public-domain sources. We cannot guarantee the reliability or the accuracy of the images. Images on our site are for the sole purpose of giving an approximate description of the goods. EkoFuel is a brand name of Prima Industries Limited which is a registered company of England and Wales, Company Number 5688373, with a registered office at Unit 2 Chesterton Court, Eastwood Trading Estate, Rotherham, South Yorkshire, S65 1SJ. Under our terms and conditions we do state it’s the receivers responsibility to make a note of the damage on the dispatch note when signing for the goods. Failure to note any damage when receiving the item will void the opportunity to claim.